Social and emotional skills weekly groups and Summer Camp provide your child with a safe and fun setting to learn and practice new skills and be with friends. Themes and activities are drawn from Michelle Garcia Winner’s Social Thinking curriculum, Play and Drama Therapy techniques, and The Conscious Kids Curriculum inspired by the work of Gay and Kathryn Hendricks. Activities are designed to inspire whole-body learning through doing and reflection. 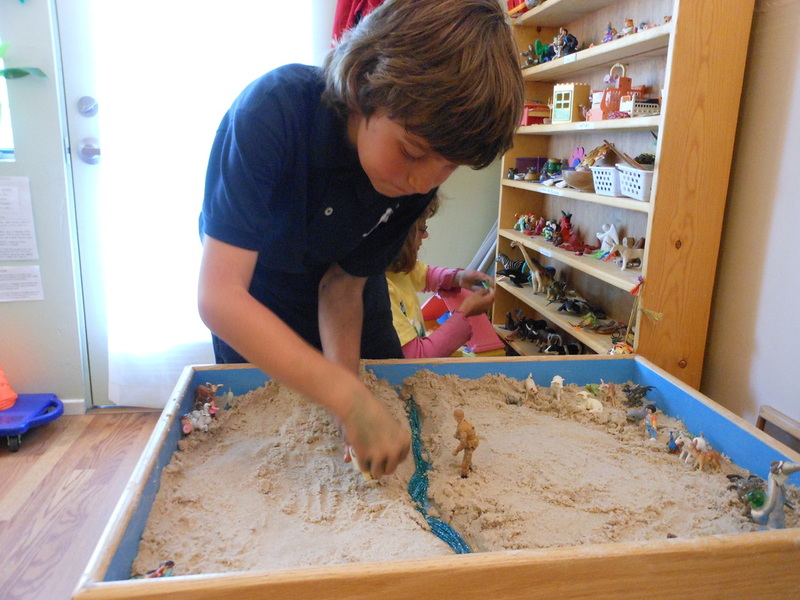 We use dramatic role playing, structured games, and facilitated free play to practice communicating feelings, playing cooperatively with peers, dealing with conflict, and learning the skills to make lasting friendships. Fighting your inner “villains” to making friends and becoming a social superhero! Groups include 2-6 children and often run with a 2:1 adult:child ratio to maximize learning potential. Group participants range from high-functioning children who struggle with social thinking, to children with learning or sensory differences, to children who need guidance to support confidence and emotional regulation with peers. A careful screening process ensures the group is a good fit for each child. improve social skills, emotional intelligence and self-confidence. Games and coaching are provided to teach your child skills in successfully navigating the social arena including topics such as joining in play with peers, handling frustration and disappointment, creating mutually joyful friendships, successfully resolving conflicts, reading nonverbal social cues, expressing yourself authentically and kindly, and maintaining attention & organization. all incorporate self-awareness, creativity, and fun! Appropriate for children who could use a little extra support to engage socially with peers, manage attention and body regulation, and successfully manage their emotions. Limit of 4 children per group to maximize social learning. Themes and activities are drawn from Michelle Garcia Winner’s Social Thinking curriculum, Play and Drama Therapy, The Mindful Child, and The Conscious Kids Curriculum inspired by the famous relational work of Gay and Kathryn Hendricks. When are your next Social Skills Groups and are there openings?